The man who created one of the most popular series in the industry hated the NES port of the first game and considers it a "stain" on his career. The Metal Gear series didn't really take off until the NES version came out and won the hearts of gamers around the globe. 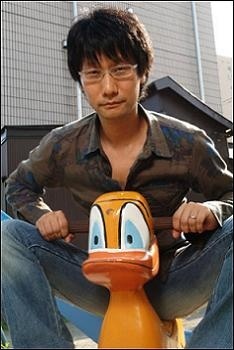 However, series creator Hideo Kojima despises that game, claiming it's an "abomination" that sullied his career. Back in 1987, Kojima designed Metal Gear for the MSX computer, but it turns out he had nothing to do with the NES port. Speaking to Nintendo Power, Kojima explained that "I had absolutely no participation in the development of the NES version. The NES version was a pitiful title developed cheaply and simply by a small team in Tokyo. That was during the bubble economy where anything and everything that was released would sell." In the interview, Kojima said that he came across the game in a bargain bin and tried to play it, but the title's design was "pretty bad." He also said that the gameplay included a base infiltration section that wasn't in the original that was maddeningly frustrating: "Even I, the developer of the original game, was unable to infiltrate the base even once." So, even though the game sold millions of copies worldwide, Kojima hates the damn thing and maintains "that title has only soiled my reputation." Honestly, it's not surprising that the man can't stand the NES port, based on his explanation. If I had busted my hump to create a great game, only to have another team port it to a console as a flawed title that was more frustrating than anything else, I probably wouldn't like it much either.